Japan’s culinary scene is truly a force to be reckoned with. From ultra-modern sushi bars to thriving marketplaces to the more traditional Kaiseki dining experience; this itinerary involves insightful tours by food professionals, authentic cooking classes, a touch of historical context and all of the Japanese cuisine you could hope to consume in ten magical days. This is the perfect trip for the restaurateur, professional chef or dedicated foodie. Landing in Tokyo you’ll be bowled over by the city’s frenetic and ebullient atmosphere. Few places are as awe-inspiring as this and trust us when we say you’ll need a day or two of whimsical exploration to acclimatise. So, before you kick off your foodie adventure, spend some time with your private driver and allow yourself to be taking around this mesmerising city. Then, once you’ve had your fill of traditional sight-seeing, we’ll get started on broadening your culinary horizons. Wake early (jet lag will make this easy) and meet your very own food professional, who will be introducing you to Tokyo’s gourmet scene. Begin by ticking the Tsukiji fish market off the bucket list. A vibrant market filled with rows upon rows of freshly caught fish; it might be early but a taste of the sushi here is a must. If you wake even earlier (around 4 am) you may even have the chance to be admitted to the famous Tuna auction. From the market, it’s on to yet more culinary delights. Depending on where your interests lie, we’ll have an itinerary tailor-made to suit you. Whether its sake or shochu tastings, local supermarkets or an in-depth cooking class you’re after, we can easily curate an educational and one-of-a-kind food experience you’ll never forget. On another of your days in Tokyo, we’ll arrange for you to be picked up and driven out to the Akigawa Valley district. Just an hour from the buzz of the city yet representing a completely different side to Japan, this area is one of rivers and streams, lush greenery and laid-back living. The district is famed for its agriculture, as well as fresh fish, Akigawa beef, wild deer and boar. The food you’ll try here at any of the riverside eateries is sure to be unique and delicious. Akigawa is also known for a number of shrines that can be found hidden in the hills or on mountain tops, so take time to explore beyond the culinary scene for a greater understanding of the deep culture and heritage of this stunning place. From Tokyo, we’ll have you boarded on to a train and transferred to Hakone for a completely different taste of Japan altogether. Met by your personal driver at the station, you will be driven to Ginyu Hakone, your base for the next two nights. A region famous for its peaceful surroundings as well as its incredible cuisine, here you’ll experience the traditional Kaiseki multi-course Japanese meal. Some of the courses are only a mouthful, but each are a riot of flavour, fresh ingredients and colour. By the end of the dinner, you’ll be more than satisfied. Beyond the beautiful confines of the Ginyu Hakone, you’ll also find wonderful mountain scenery, astounding art galleries and traditional streets and architecture. The relative quiet of Hakone will be a distant memory when you arrive in Osaka and contemplate its neon signs, vibrant streets and endless buildings. As one of Japan’s largest cities, Osaka is a wonderfully interesting destination and one you’ll be keen to lose yourself in from the beginning. More than anything, though, Osaka is known for its unique culinary scene, something we’ll ensure you get to know quite well. The term “kuidaore”, which literally translates as “eat until you become broke”, is regularly used here and as you begin your tasting tour, you’ll understand why. Head to the Dotonbori district and peek inside the rows of eateries aglow with the neon lights overhead. Be sure to try the Takoyaki (grilled octopus) and have a meal in Shinsekai, where you’ve got to taste the Kushi-katsu. Developed as a lighter way to enjoy deep-fried pork cutlets, kushi-katsu is a variety of bite-sized meats and vegetables, battered, fried and skewered. When you’re not eating, your private driver will transport you between the world-famous Umeda Sky Building, the open air museum of Japanese farmhouses and the rich collections of national museums that reside here. 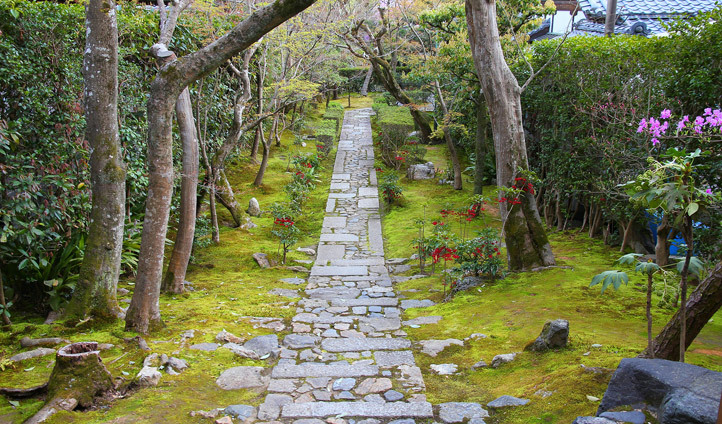 Your last stop on this tasting tour will be Kyoto; the cultural heart of Japan. Aside from the wealth of stunning temples and enchanting streets down which you’ll want to willingly lose yourself, Kyoto also lays claim to the Nishiki market area. Home to almost 100 restaurants and shops; you’ll delight at the heady aromas and intense flavours you’ll find here. We’ll also arrange private lessons in Japanese sweet-making and ensure you experience the world-famous tea ceremonies that occur here. A cultural and culinary gem; we couldn’t think of a better place to end your incredible tasting tour of Japan than in Kyoto. After a few days here and a quick trip back to Tokyo, you’ll spend your return flight dreaming of a cuisine you’ll want to recreate back home.